Student Pamela Moore is one of the women interviewed in Dark Girls, a documentary on color discrimination by actor-director Bill Duke and co-director D. Channsin Berry. Despite being accused of "airing the dirty laundry" of black communities by making Dark Girls, Duke says he thinks colorism is a relevant issue. "I was in a group like this a few months ago," Duke told a crowd of people who had just screened the movie at the Pan African Film Festival in Los Angeles. "And someone said, 'Why are you airing our dirty laundry?' "
Duke, a tall, dark-skinned man with a shaved head and weary eyes, paused. "My answer was: 'Because it's stinkin' up the house!' "
The audience erupted into applause and shouts of agreement. Hue-based hierarchy, of course, is ancient — and also very modern. The difference is many non-American societies are matter-of-fact about the preference for lighter skin. Prospects on the Indian online dating and marriage website Shaadi, for instance, often list themselves as "fair" or "wheat-colored" without embarrassment. Women touted as beautiful throughout Latin America and the Caribbean often range from very fair to cafe au lait. Black Americans are no exception — but they're also less forthright about the color prejudice that exists within the black community. Duke's film not only airs dirty laundry no one wants to show the outside world — it also may blow the windows off their hinges. Comedienne Luenell (she uses only her first name) attended the screening at the Pan African Film Festival; she says it's about time the black community had this conversation, even if it makes some people twitch. "My daughter is 16 years old; she's dark," says Luenell, who has that cafe au lait skin and closely cropped blond hair. "I have all shades of people in my family, and I know this is a subject that needs to be breached upon. It's a dirty little secret subject amongst our race that people don't talk about, and we do need to talk about it." Bill Duke believes people also want to talk about it but can't start that conversation on their own. He hopes Dark Girls will be a catalyst for what he considers a long-overdue dialogue. A documentary showing at film festivals offers a reminder that race is more than a question of black or white. Bill Duke and D. Channsin Berry made a film about lighter-skinned African-Americans who discriminate against those with darker skin. It's called "Dark Girls." Here's NPR's Karen Grigsby Bates. KAREN GRIGSBY BATES, BYLINE: "Dark Girls" was one of the most anticipated films at the Pan African Film Festival in Los Angeles. On a pleasant Saturday afternoon, it was standing room only at the Rave theater complex in the city's Crenshaw district. The mostly black guests milled around dressed in everything from African robes to smart suits and high heels. But not everyone was happy. Twenty minutes earlier, ticket sellers had had to tell dozens of disappointed movie goers that "Dark Girls" had been sold out. People were eager to see a movie that discusses in public something so painful, a lot of black people won't talk about it in private. Inside, the theater was church-quiet, as on screen, dark-skinned women like this elegant lady described the insults they've endured over the years. BATES: Especially when some of that feedback comes from black men. In this segment, a fair-skinned young man tells Bill Duke he just doesn't think he looks right with a dark-skinned woman on his arm. BATES: When the hurt involves children, it's especially raw. BATES: The most devastating scene echoed a famous experiment conducted in 1940. Black psychologists Kenneth and Mamie Clark showed Harlem school children two sets of dolls, one black, one white, and asked them to ascribe characteristics to each one. They saw the white dolls in a uniformly positive light. The black dolls were seen as the opposite. It was a watershed moment that showed the country how racial prejudice could be internalized, even by tiny children. Last year, Duke's cameras looked over the shoulder of an adult who recreated a version of the Clarks' experiment. She showed a shy little girl cartoon drawings of an African-American girl that were exactly the same, except they varied in color from very light to very dark. BATES: The little girl points to the darkest drawing. BATES: There was an audible gasp in the theater, and seatmates murmured to each other. : If you would just stand up - if you have a question, please stand up and so everybody can hear you, please? BATES: In a question-and-answer session following the film, Bill Duke told the audience he made "Dark Girls" because he believes, in order to get past the colorism that still exists in many black communities, the reality of it has to be addressed out loud. And he admits he got some flack for that. : I was in a group like this, like a few months a go, and someone asked the question this way, they said: Why are you airing our dirty laundry? And my answer was: Because it's stinking up the house. BATES: As people exited the theater, the filmmaker said a lot of black people believe colorism is a relic, something that occurred in the 1940s and 50s, when light-skinned blacks were the backbone and gate keepers of elite black life. That's still with us, he says, and points out something a black mother told him. : She said my daughter came home from school the other day, and she said could she get her skin lighter, because they were calling her tar baby and ape face on the playground. This is a few weeks ago, not a few years ago - a few weeks. BATES: Comedian Luenell - she only uses her first name - says Duke's film is performing a valuable service. LUENELL: My daughter is 16 years old, she's dark. I have all shades of people in my family, and I know that this is a subject that needs to be breached upon. And it's one of those dirty little secret subjects amongst our race that people don't talk about it, and we do need to talk about it. BATES: "Dark Girls" remains on the festival circuit as it seeks a distribution deal. 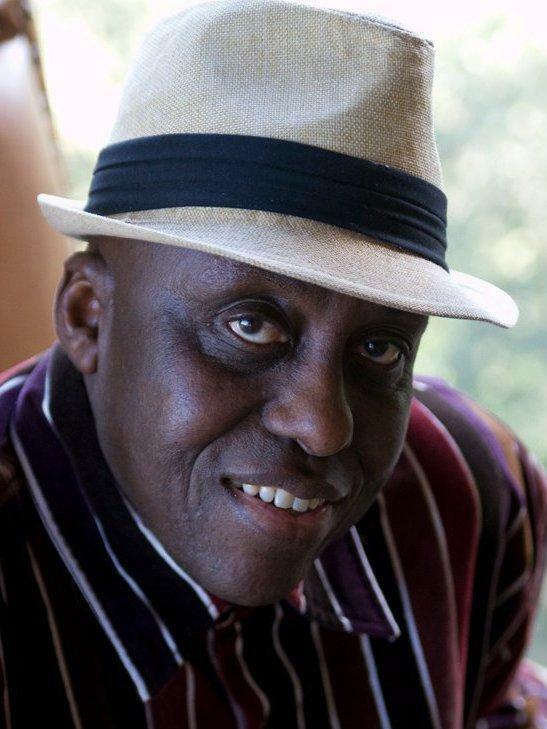 Bill Duke says the film has sold out wherever it's been shown. He believes that people really want to talk about the subject. And if you can talk about it, he says, maybe you can fix it. INSKEEP: It's MORNING EDITION, from NPR News. Transcript provided by NPR, Copyright NPR.